Foutas were originally used as towels in the ancient Hammam spa or Turkish bath and are also known as Turkish towels. They can be used as a bath towels, beach towels, wraps, throws, tablecloths, picnic blankets, scarfs and so much more. It is one of the most versatile summer items and you should have one, or two, or more. 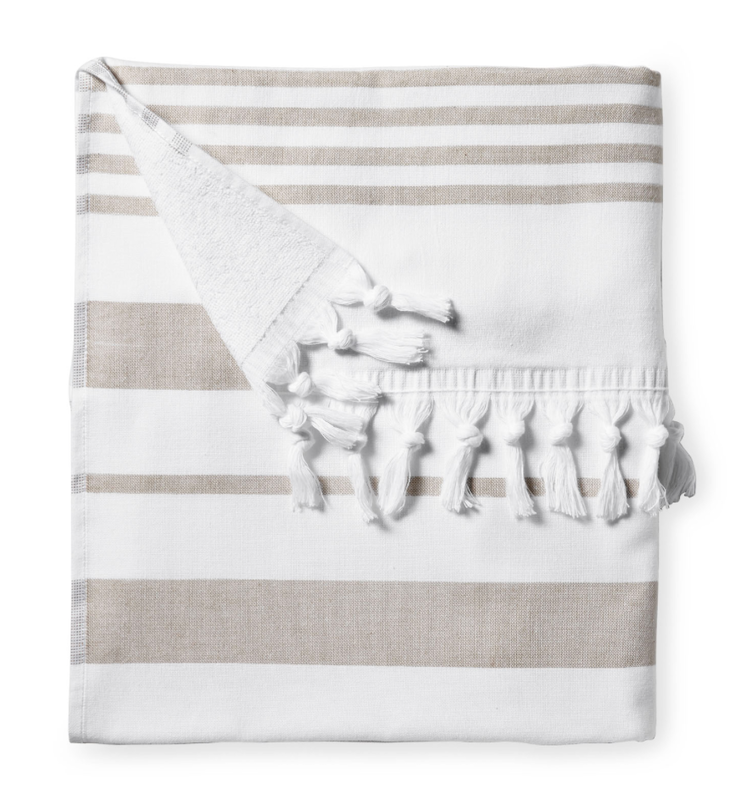 Made of 100% Turkish quick-drying cotton usually featuring a stripped pattern and fringe, foutas are a perfect alternative to bulky beach towels.